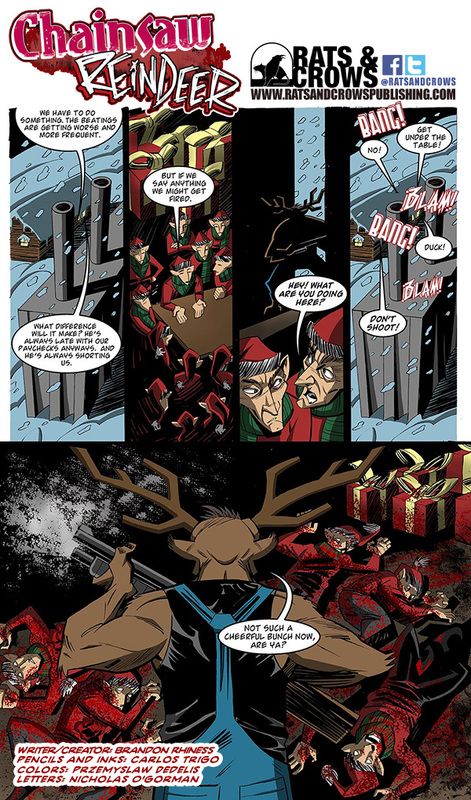 Did you know that Santa Claus is bad? And I do mean, really really bad! 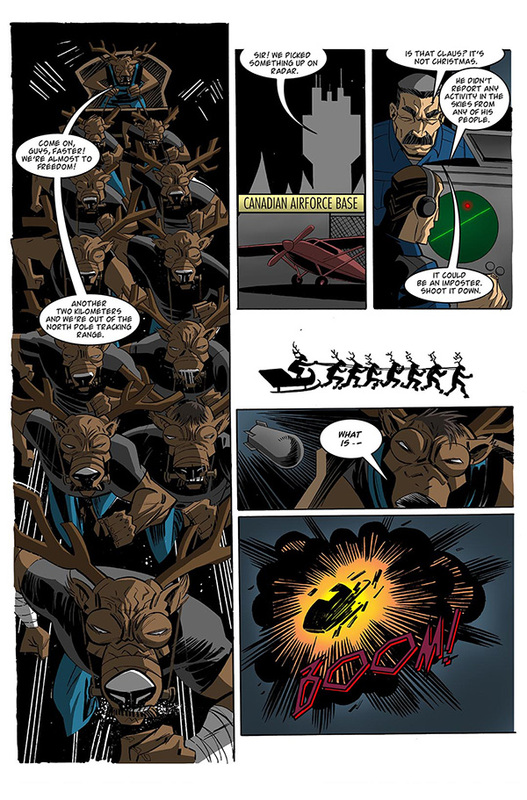 So much so, in fact, that all of the elves and reindeers living at the north pole are in constant fear of his vicious attacks. Heck, it’s been like this for many many years, day in, day out, until one night one of his reindeers couldn’t take it anymore. Want to know more? 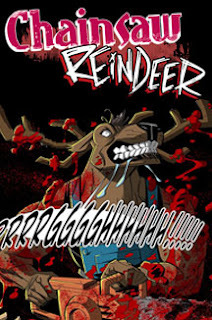 Then please check out the second part of Chainsaw Reindeer, our weekly webcomic created by Brandon Rhiness, Carlos Trigo, Przemyslaw Dedelis, and Nicholas O’Gorman. 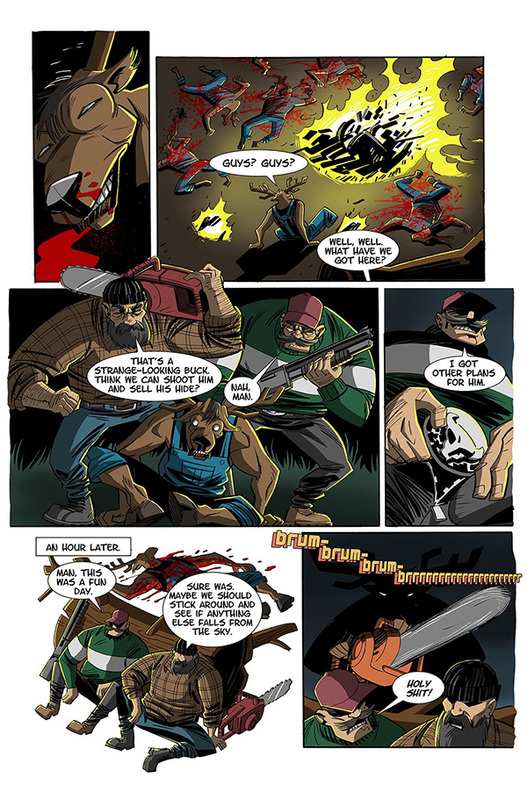 If you want to see some more, please don't hesitate to pop on over to biblicalcomix.com, who work in conjunction with Rats And Crows Publishing. 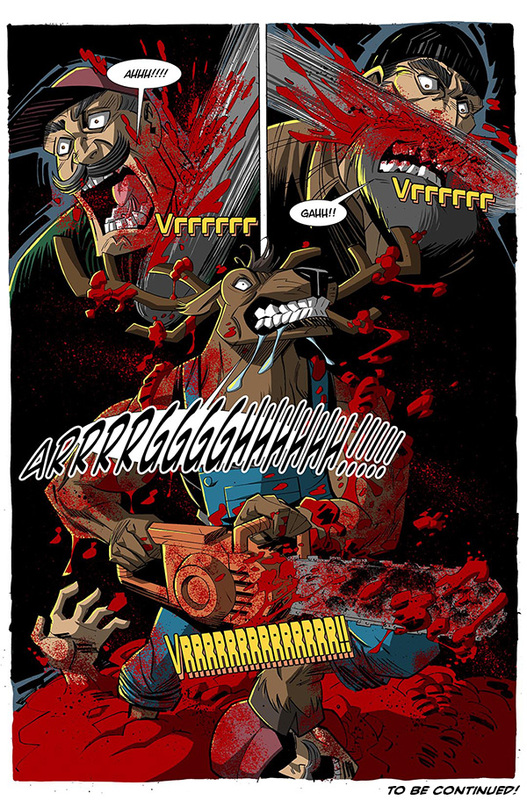 Or alternatively, why not pick up a full copy of 'Chainsaw Reindeer' via Planet Indy.